BELLEVUE, Wash., Feb. 12, 2018 /PRNewswire/ -- Nintex, the world's leader in intelligent process automation (IPA), announced today that CRN, a brand of The Channel Company, has named Josh Waldo, Chief Customer Officer at Nintex, to its esteemed list of 2018 Channel Chiefs. This year marks the third year in row Waldo has been recognized by CRN. Executives on this annual list represent top leaders in the IT channel who excel at driving growth and revenue in their organization through channel partners. Waldo joined Nintex in 2014 as VP of Channels & Strategy and was promoted to Chief Customer Officer in 2017 given his work growing the Nintex partner ecosystem and serving as an unwavering champion of customer success. As CCO, Waldo and his team are responsible for delivering superior customer and partner experiences worldwide. This includes managing and enabling Nintex's partner ecosystem of more than 1,700 partners globally, and establishing strategic alliances that help customers and partners utilize Nintex technology to automate, orchestrate and optimize a wide-range of business processes. Waldo also leads Nintex's global customer support organization. "Nintex's channel ecosystem is thriving thanks to Josh Waldo's leadership," said Nintex CEO John Burton. "Josh is committed to the success of our customers and partners. Thanks to his efforts, more organizations around the globe are realizing the promise of digital transformation by automating, orchestrating and optimizing their business processes." As Nintex has undergone a transformation to a Software-as-a-Service (SaaS) business model, the organization has grown its cloud-driven business and channel strategy. With the release of Nintex Workflow Cloud® and the company's extensibility framework, Nintex has made it possible for partners build their own connectors to systems of record to enable their own unique value proposition. Nintex also expanded its channel strategy beyond the SI/VAR channel with a new dedicated ISV team that has seen the continued growth within its traditional ecosystem as a top managed Microsoft Gold ISV partner and now the successful engagement and activation of new partners such as Box, ServiceMax/GE Digital, DocuSign, Adobe, Salesforce and others. 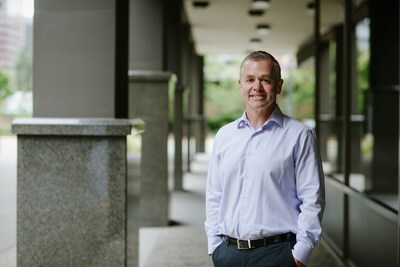 Prior to Nintex, Waldo spent nine years at Microsoft most recently serving as senior director of cloud partner strategy within the Microsoft Worldwide Partner Group. He has also held key positions at Oracle and Siebel Systems.